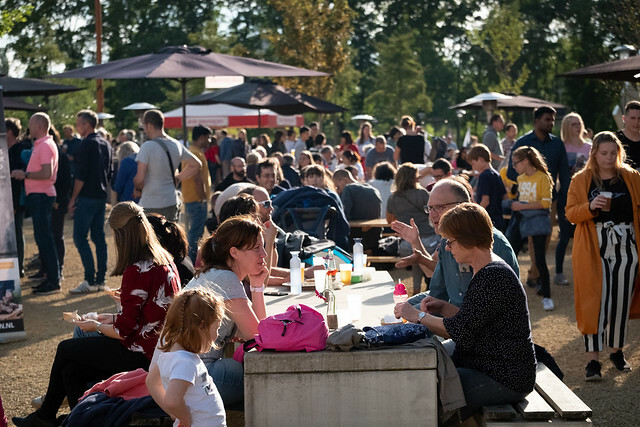 On Saturday 15 September, WUR’s centenary was celebrated with a grand festival on campus. We present you photos from the event. Last Saturday, the campus was transformed into a huge festival site with ten stages – both inside and outside. The programme included sixty performances, movies, theatre plays, lectures, activities for children, and food and drinks in all shapes and sizes. An impression of the entire celebration in this series of photos.